An ever increasing body of research points to the effectiveness of how mindfulness helps children to calm down, make better decisions and pay attention. The Chill Outz® mindfulness techniques help emotional regulation and cognitive focus. Do we even need to ask if you want that for your child? What is MINDFULNESS and why is it important for my child's emotional & cognitive development? 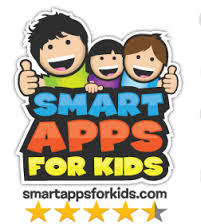 (...) protecting kids’ privacy and building great family-friendly apps. REVIEWED: 4 STARS "...colourful, understandable and suitable for the age of the target audience ..."
REVIEWED: "It's one of those apps I wish I had a long time ago"